Katie Johnson is a life long coulee region resident, a graduate of Blair-Taylor High School and a graduate of Viterbo College with a Bachelors degree in Business. Her high standards, morals and values have given her an edge in this competitive industry. Katie resides in Trempealeau with her husband Adrien and 3 boys, Aspen, Brooks and Haakon! 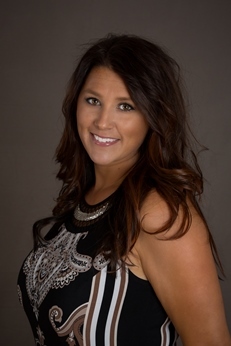 Of all of the accolades received throughout her career in real-estate, Katie is most proud of is her national "30 Under 30" award from REALTOR magazine! The "30 Under 30" award is given to the top 30 REALTORS under the age of 30 for their outstanding achievements and commitment to the Real Estate industry and community. Katie is the only agent who has ever received this award in the Coulee Region area and only one of three in Wisconsin. Continuing to excel in her business and management of her team, Katie is changing the way real-estate is viewed in the greater LaCrosse area! Her Assist 2 Sell office in Onalaska has continually made top 10% and 20% since her opening in 2003. Katie is energetic and enthusiastic about helping sellers and buyers save thousands! Call Katie today! No pressure, no commitment and no obligation!